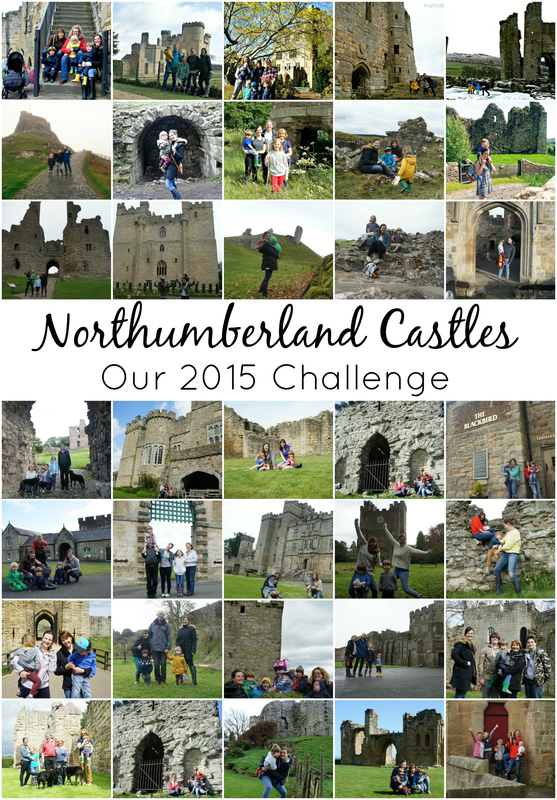 2015 - the year we saw all the castles in Northumberland and here they are! 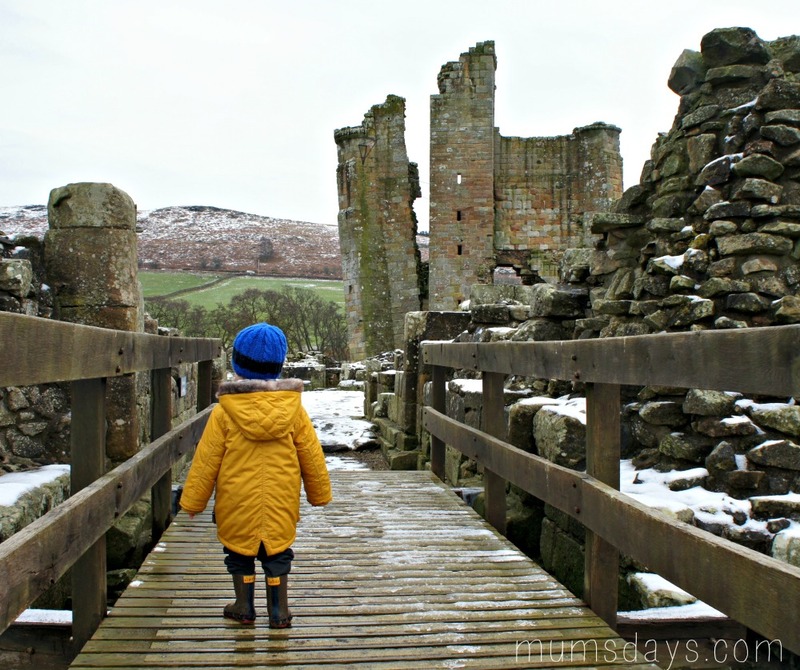 A year ago today I started a challenge; The castle challenge, where I aimed to see all the castles in Northumberland with Reuben and anyone else who cared to join us. 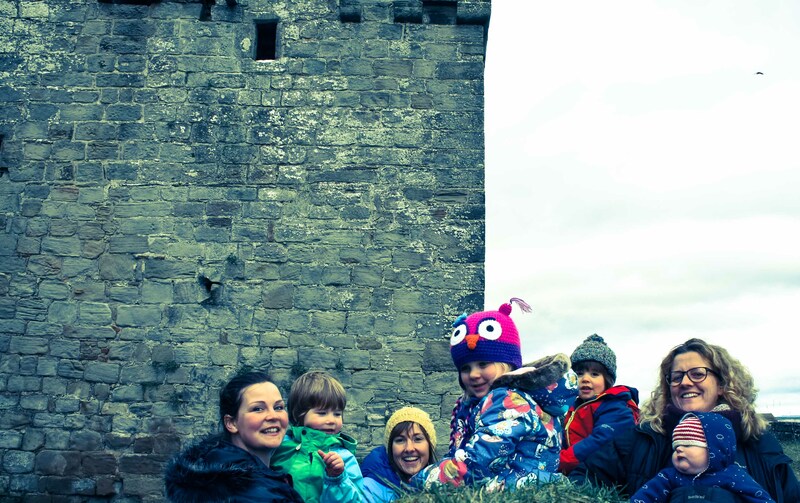 Over the year, Reuben and I, and our motley crew of friends, family and people we didn’t know, visited over 40 castles. 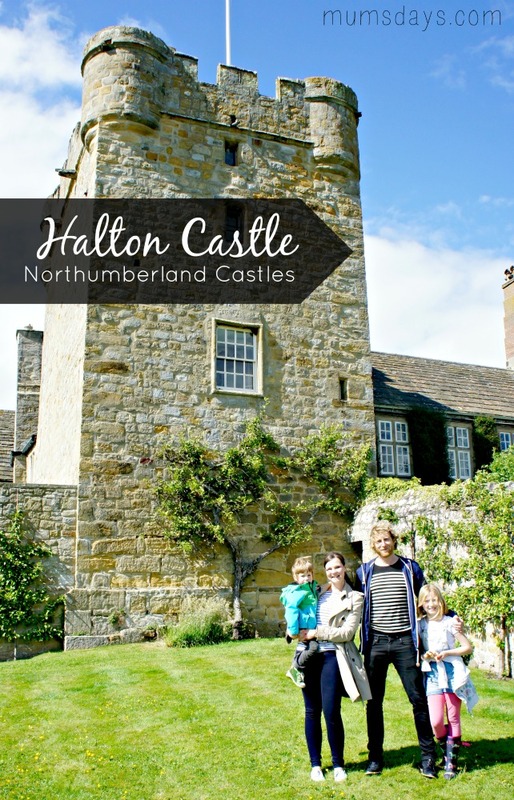 We saw all 20 of the “true” castles, which, according to my book/castle bible, Castle of Northumberland, “are the great medieval fortresses of the Norman Barons and their descendants.” We also saw another 20 of the castles, such as Aydon, which were fortified houses, manor houses, and follies. Oh my, the fun we have had! Heading off each week on a new adventure to meet my favourite people has been wonderful. I owe a huge debt of thanks to my friends Emily and Cath, who joined me week after week to all manor of weird and wonderful places. And to our willing (sometimes unwilling!) children, Reuben and his friends Beau, Isabella and Baby Sam (a very welcome addition, arriving halfway through our Challenge!). But the biggest thanks has to go to Mike for putting up with me and this ridiculous challenge. I’ve hijacked his holidays and even his Father’s Day! It’s also been a lot more expensive than I had anticipated. There were many many miles driven. 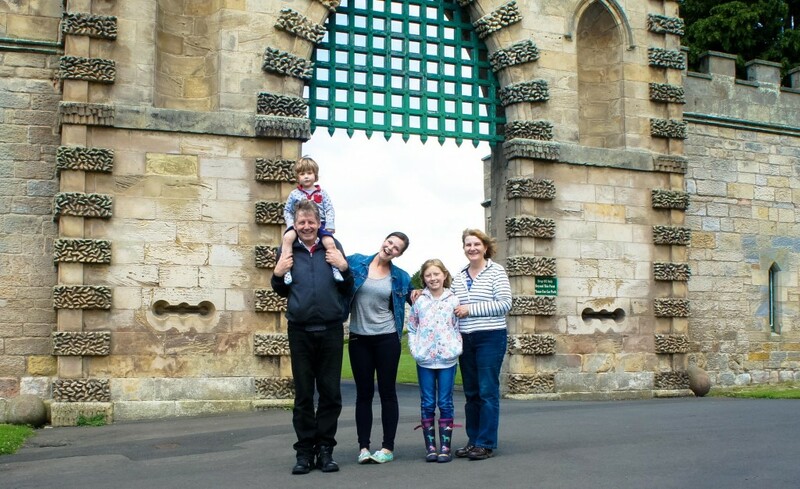 We required overnight stays in hotels and, in order to see Morpeth Castle, we had to pay for the castle for the whole weekend (they weren’t going to let us in otherwise). It made for one hell of a finisher though! 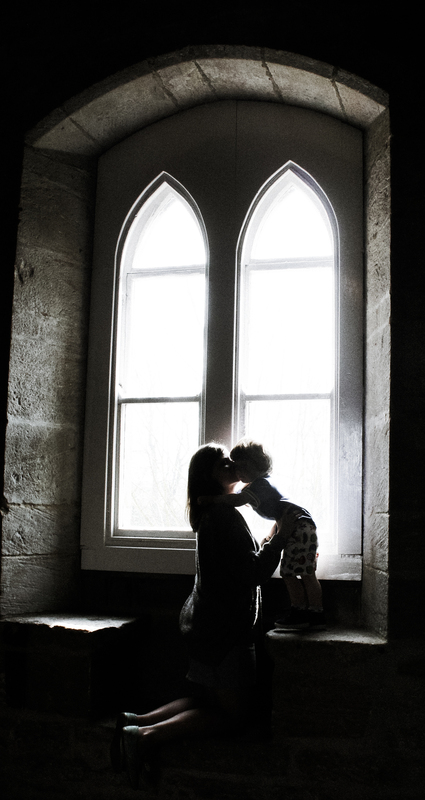 And some amazing pictures, including this one below, which was featured in Point and Shoot. 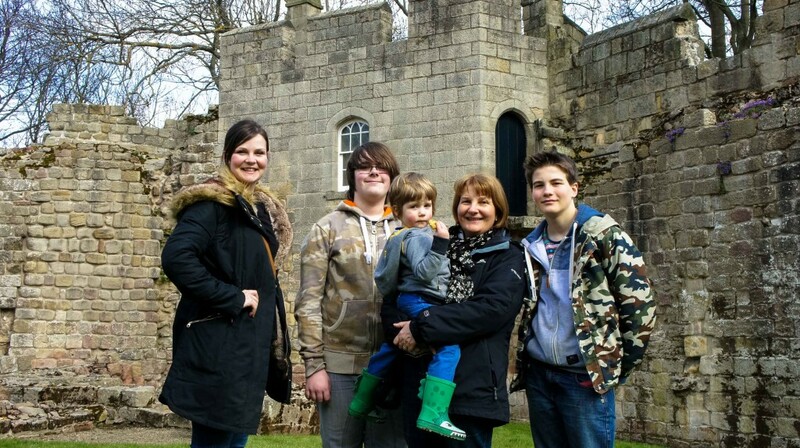 Thankfully, many of the castles were free and we also had the support of English Heritage (who own 13 of the castles), National Trust, Alnwick, Bamburgh and Newcastle Castles, who kindly let us enter for free. My mate, Emily, also found a groupon voucher for Chillingham Castle, which gave us a reduced fee! So, it wasn’t quite as expensive as it could have been. 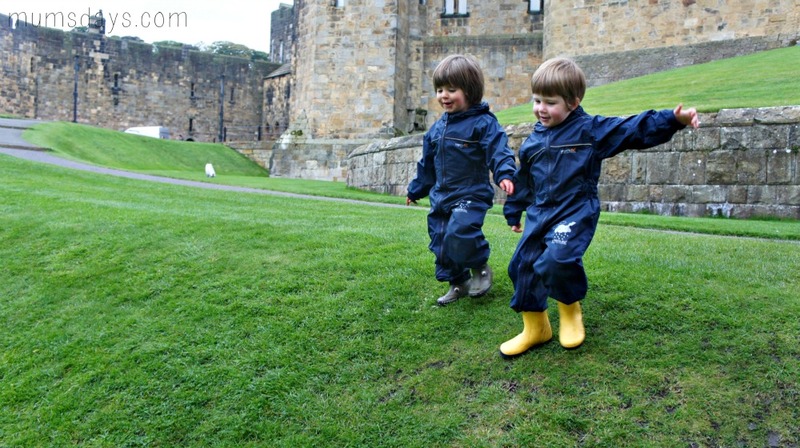 Oh and Regatta supplied the kids with their waterproofs suits, which was just invaluable at times! A massive thank you to all those who have helped in this endeavour! As my final post, I thought I’d give you a whistle stop tour of the castles we visited and include the group shot or favourite pic at each. We visited on 16th October with Cath and Emily and the kids. It’s such a fun day out! Even though it was raining off and on, there’s still plenty to do to keep little ones entertained. And even more for older ones with an interest in Harry Potter! Ticket info here. 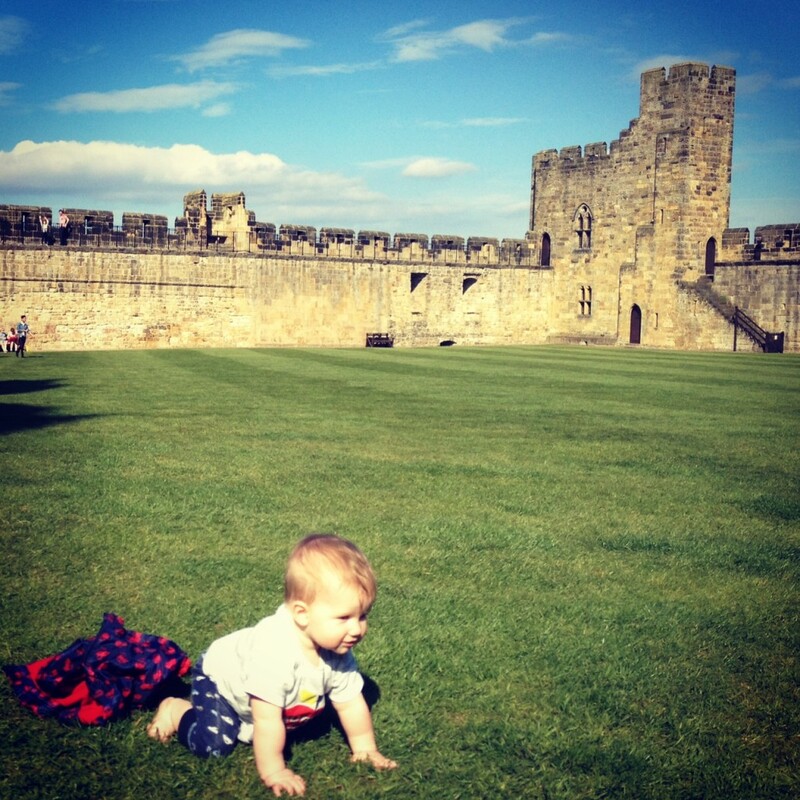 Two years earlier – Reuben learnt to crawl at Alnwick! 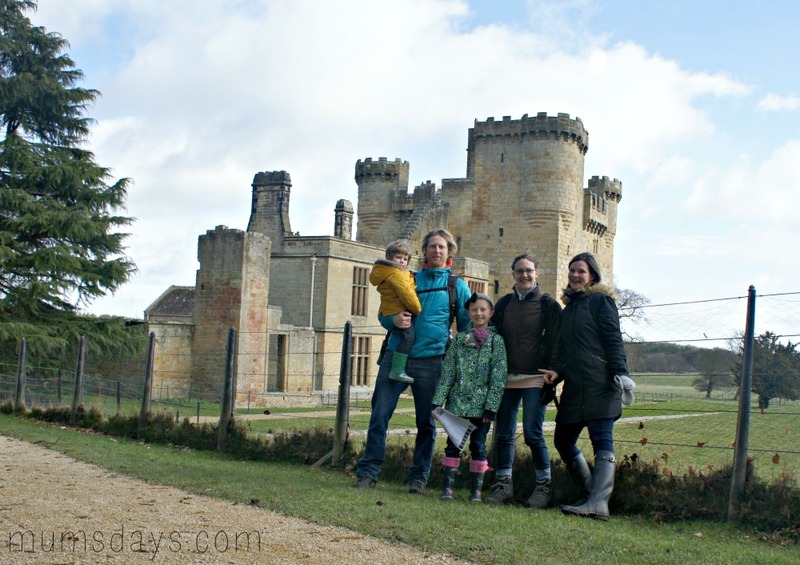 Aydon is very close to us so we visited on 10th April, very soon after it opened for the new season. 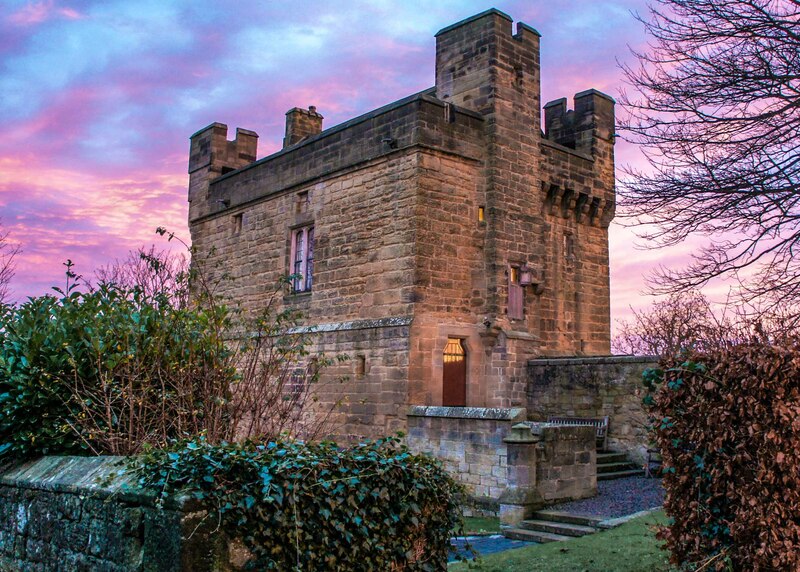 This is English Heritage owned and is the best hide and seek castle ever. A compact site with loads of nooks and crannies. And it has a roof, so perfect for rainy days! Ticket info here. We visited on 29th October in the middle of a very wet few days away. Bamburgh is epic! Huge with lots to see and learn. It was a little stressful with a toddler as there are many, many precious artefacts but Gabriella (who was 9 at the time) loved it. The location next the beach is incredible too. Info here. We went for a little look on 20th November but this is a private residence so you can’t get close. We visited on 1st April and this is one of my all time favs – there’s a gorgeous walk through the Quarry Gardens to the castle. And there’s also the Hall to visit and a coffee shop too – so a full day out can be had. Ticket Info here. 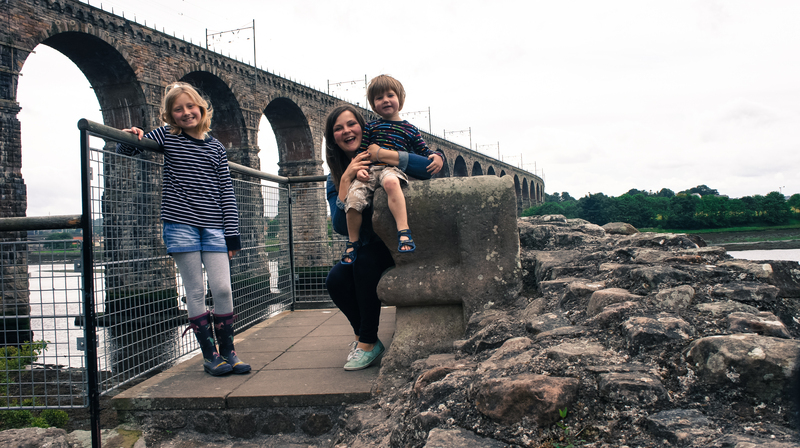 We visited 20th July and it was a bit of a treasure hunt – turns out Berwick Castle is below the train station and that wonderful Viaduct. Once we finally found it, it was a really fun place to poke around for half an hour. 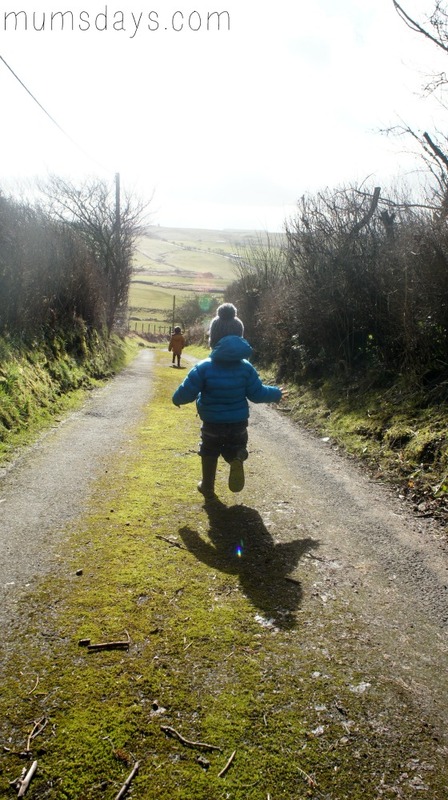 Visited on 20th November, the main thing I remember is how cold it was and Reuben refusing to put a coat on!! There’s not much castle to see but once you’re done there is a little pub nearby, which we popped into for a teacake! We visited on 9th October with Cath and Em again. I loved this trip – so many things to see within a short distance. 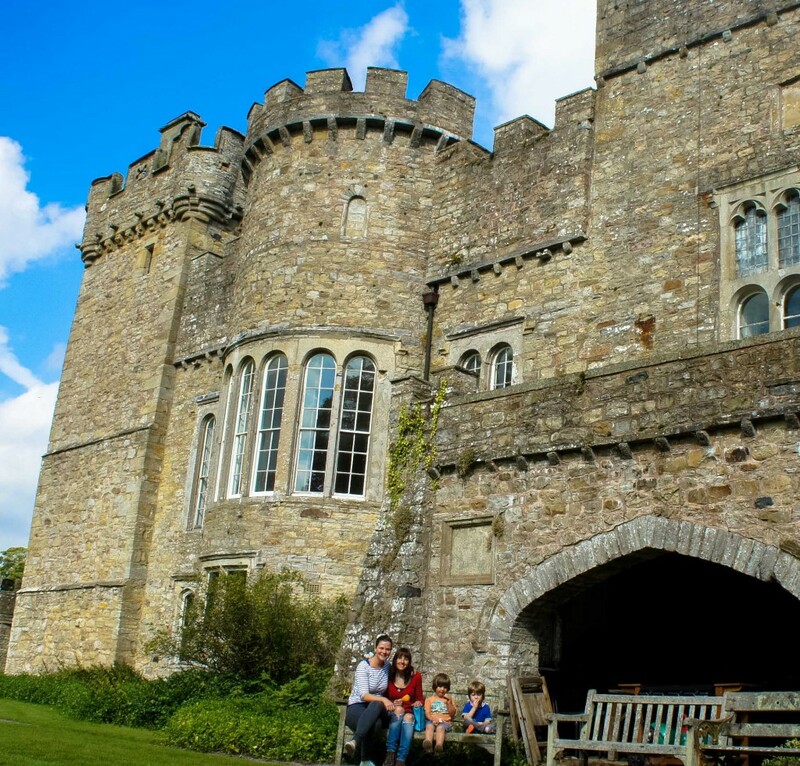 The castle is private but they do run heritage open days, so keep your eye out. 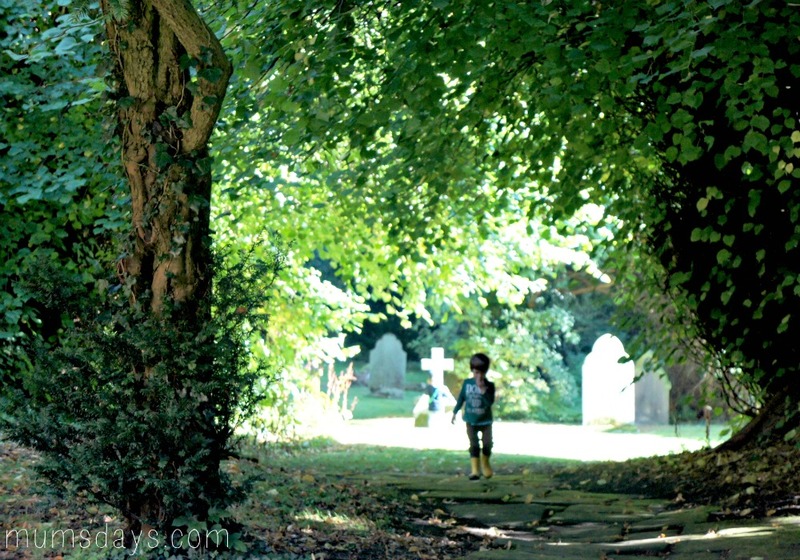 If not the cemetery and stepping stones are also lovely to visit! We went for a peek on 4th December but it’s private and we were basically told under no circumstances could visit, so didn’t want to chance it! This was a fun one! We visited on 6th February and, without realising it, trespassed. The farmer was there and had said it was OK but I would have made a bigger deal of thanking him if I’d realised! It’s also quite hard to find, ignore your satnav, but well worth it as it’s very exciting. It’s pretty much in Cartington and you’re more likely to find someone to ask if you go there first. Apparently the most haunted, this was actually quite creepy! We visited on 5th June on a glorious day and the drive up was spectacular along the tree-lined route. Take a picnic to enjoy in the grounds and then get playing hide and seek in the topiary. It’s brill. The castle is also fabulous and stuffed to the brim with bonkers things. Loved it. Ticket info here. We went for a sneaky peak on 13th December but again we were told we couldn’t visit because it was the hunting season and they were far too busy. 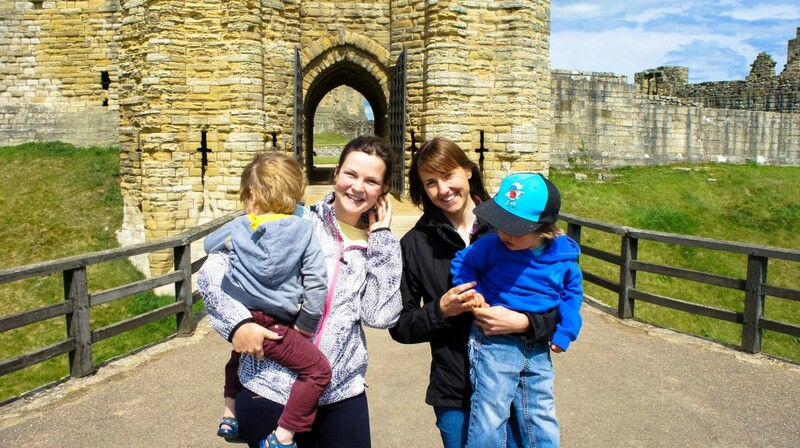 Somehow when we had our failed trip to Widdrington Castle and we went to Cresswell, we missed the fact that they had a castle. Still it meant we could go again to one of my favourite places ever (Druridge Bay) on 27th November. 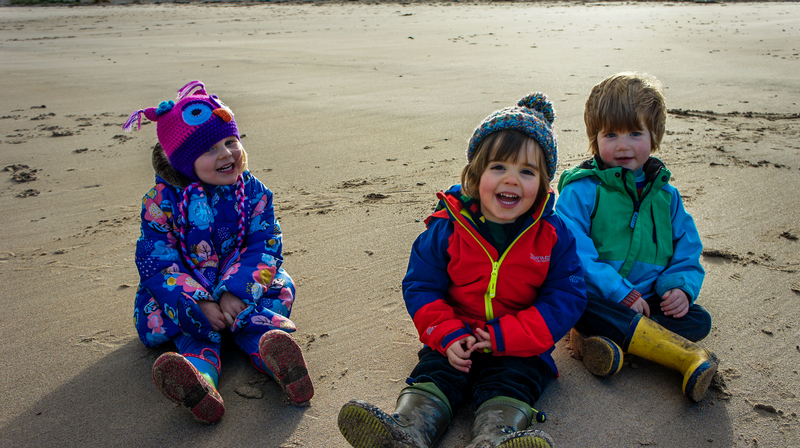 We got some super pictures on the beach of my favourite 3 little people! 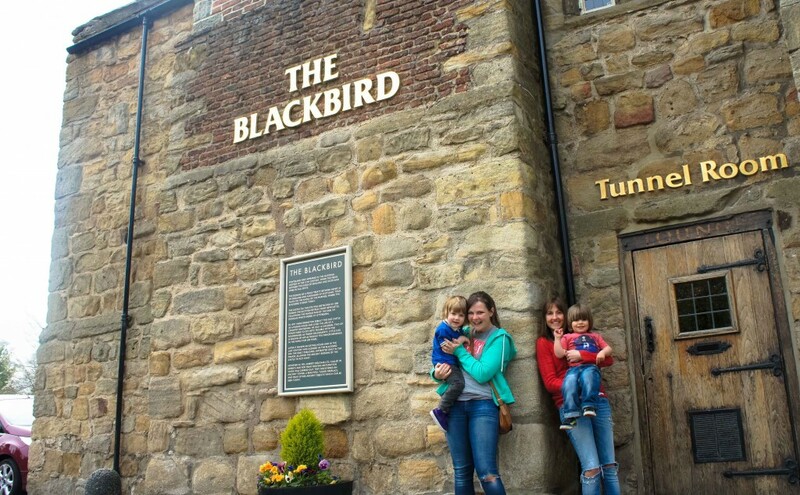 We visited on 27th March with Emly and Beau. Not a ‘true’ one but a fun trip out nonetheless and we made friends with a sheep that appeared to be the pet of the cottage next door. It’s also near to Tarset Castle (which is just a mound these days) and Bellingham. Oh and the roads are like roller coasters! Near Dilston Collage, again this is a Private castle but we went for a peak on 4th December. 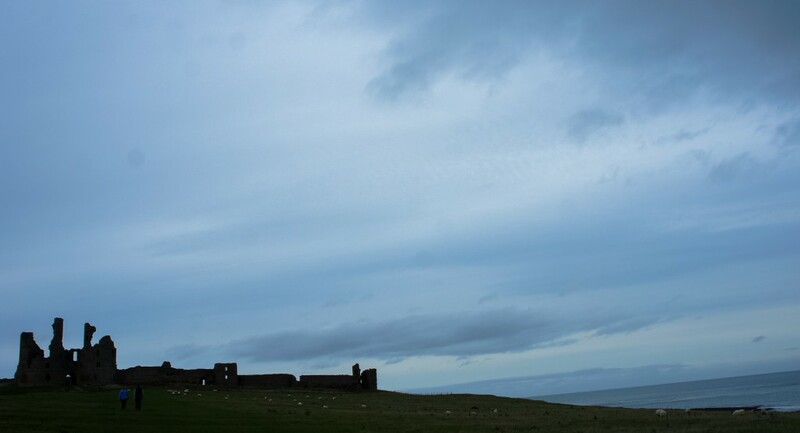 Dunstanburgh is a bit of a pilgrimage as it’s about a mile walk. You can get to it from two different villages and Mike, the kids and I walked from Craster, which is the longer of the two routes (and we argued most of the way there about whose fault it was that we chose the longer route). We visited on 14th November and I was blown away by the number of people also walking there. You can see why though; it’s a really good one, with spectacular views along the coast. Ticket info here. Near to Alnwick, this was another exciting one. We visited on 23rd January, the drive was great and the fact it snowed made it all the better. There’s also a really old church to visit too. A really wonderful trip! 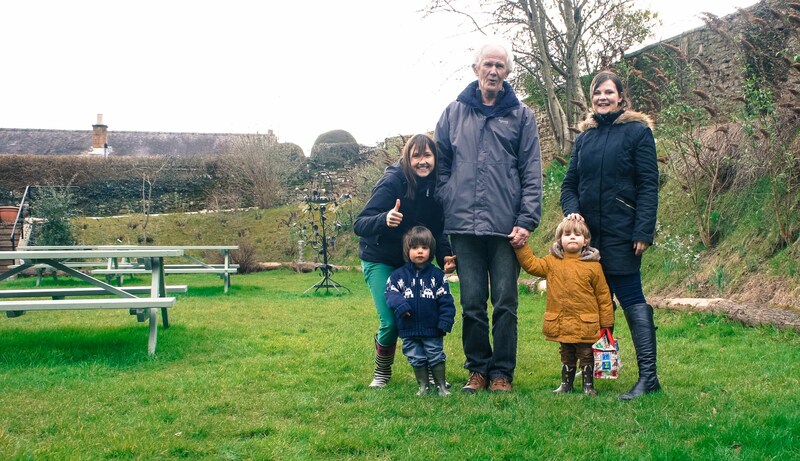 We visited on 27th Feburary with our friends Emily and Beau, and Rachel with little Arthur. There ain’t much castle to be had. None at all, in fact, but some of my favourite photos came from this trip. 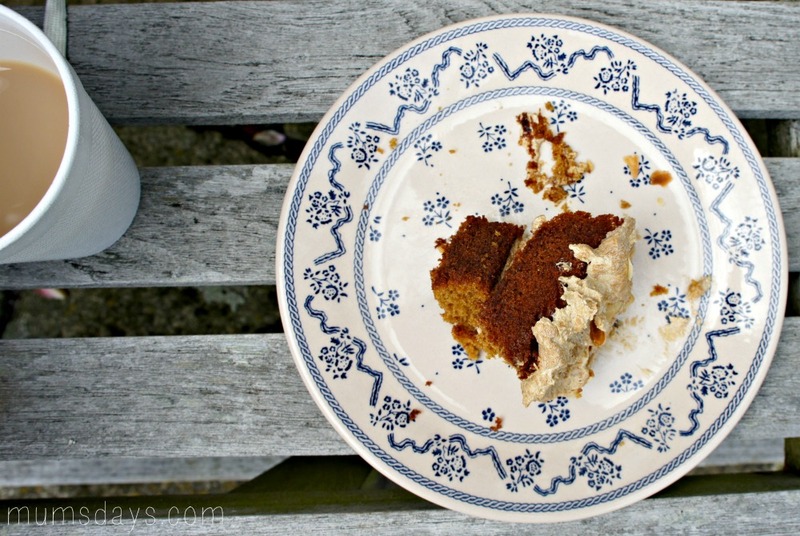 There are some really big mounds – and who doesn’t like them? – a lovely river for Pooh sticks, and a Medieval Tower, which is very impressive (but Private – you can look from the gate!). 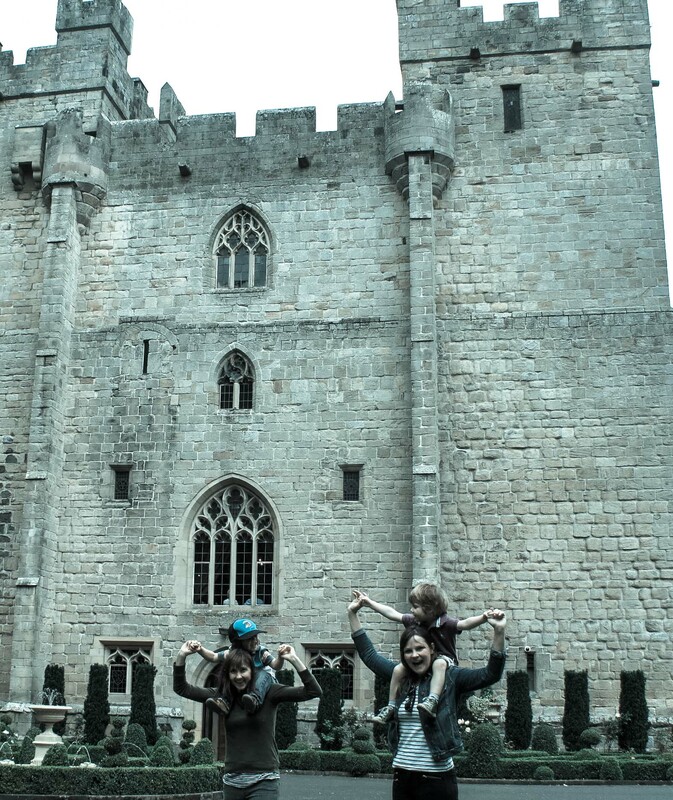 There were a few castles right up on the boarder, as you’d imagine, so we rented a cottage near Jedburgh, in Scotland, for a few days at the start of the Summer Holidays and blitzed the area. 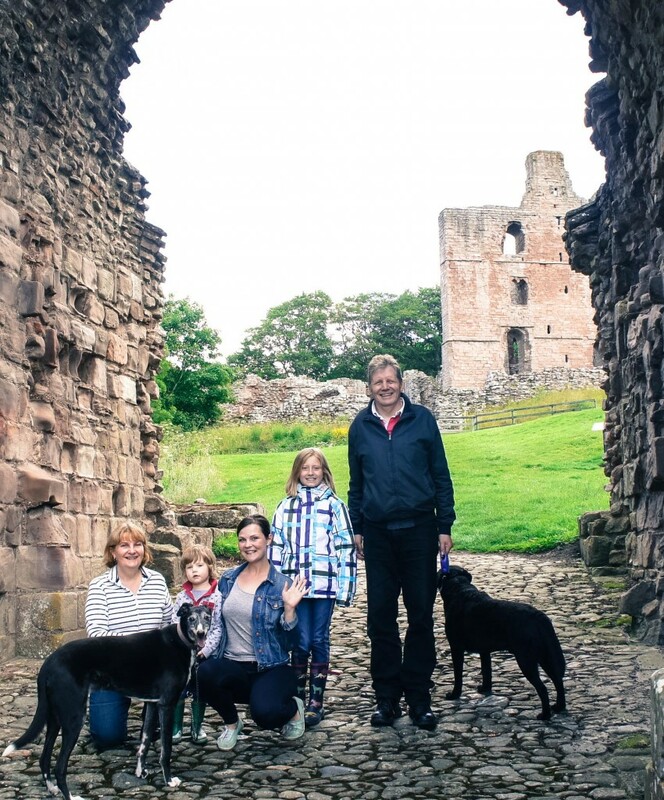 My parents came too and on 19th July we visited Norham, Ford and Etal. This particular area saw a lot of bloodshed in the Battle of Flodden in 1513. It’s got a great museum and some cafes nearby in this quaint little village. Ticket info here. I say it’s private, and although I called to get permission, I think you can just go for a walk around the garden, which is what we did on 11th September. It was lovely and seriously massive! Part of our 3 castles day trip (see Etal), Ford is very close to Etal. It’s closed to the general public but it seems nearly every kid in the North East will visit at some point to do an outwards bound type of trip! Gabby is going in 2016. This is the day I hijacked Mike’s Father’s Day…but you’ll understand why now. 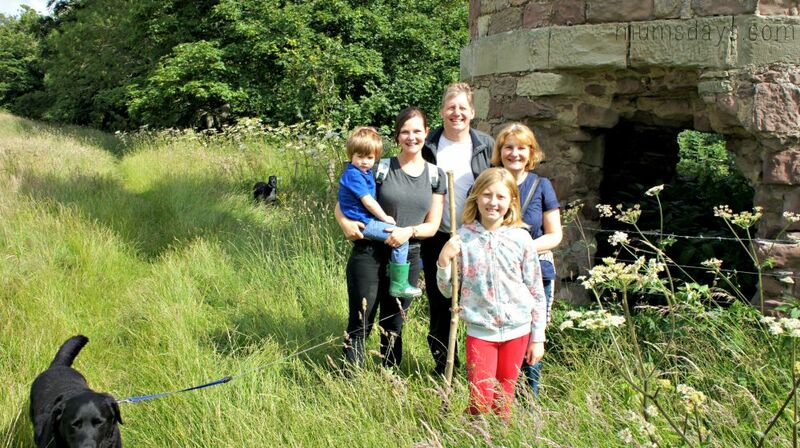 Home to the Blackett family, Halton open their doors to the public but once a year. So on 21st June we had to go. Mike got cake and enjoyed it in the end! Well, this was a bit of a disaster trip! We visited on 20th November, we were on a deadline to get back home for something and Reuben had slept all the way there so he really wasn’t in the mood. It’s bloody gorgeous though! 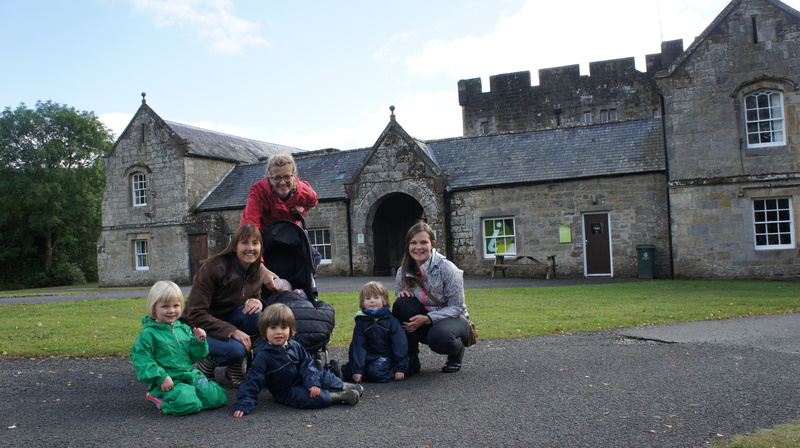 We visited Kielder on 25th September. The Castle is quite small but there’s a little exhibition to explore and a cafe. Plus you’re in the heart of Kielder which is just awesome. So much outdoor activity to do! Click the title above to see what we got up to there. Info here. Langley is a hotel and wedding venue. 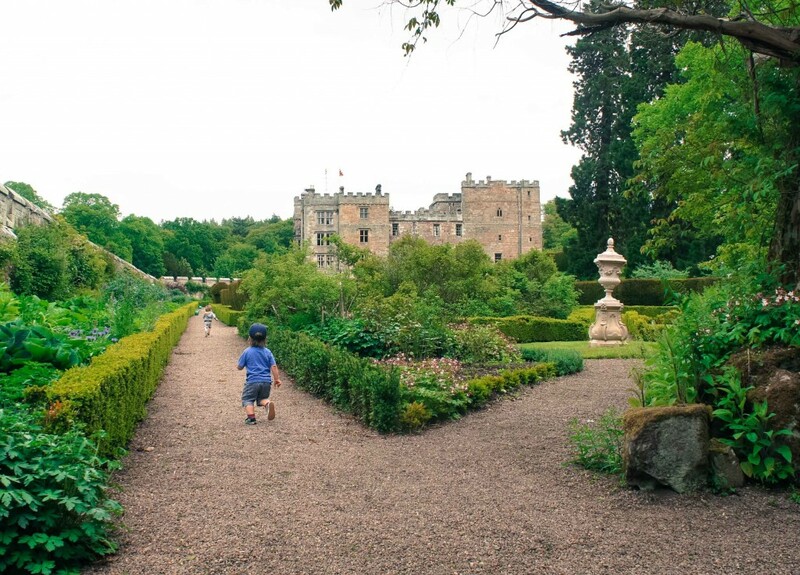 It’s got some lovely grounds to explore and you can also explore the castle itself and climb its vast staircases! – visited on 10th July. More info here. 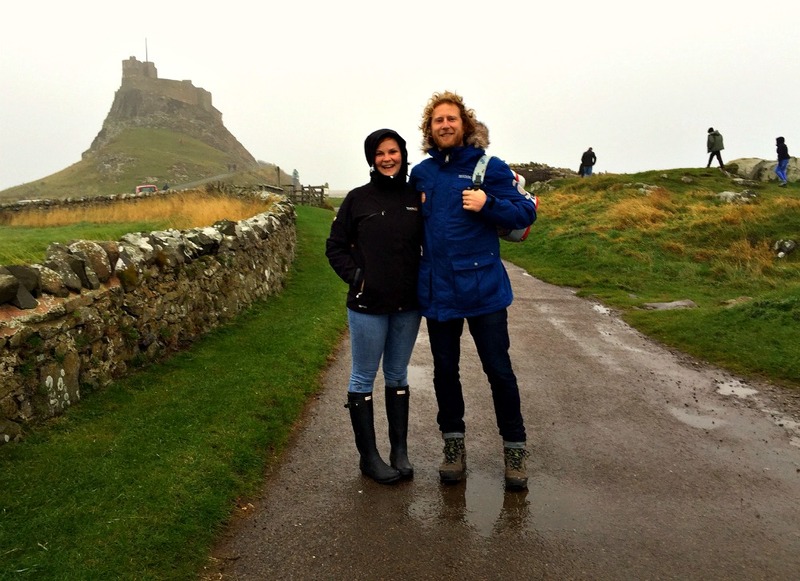 Lindisfarne was another overnight stay and we were really excited to actually stay on Lindisfarne Island. We visited on 29th October and it was soooo foggy. But that all added to the mystique. Truly unique, with its pilgrimage style walk and, when it’s not foggy, amazing views out to sea. It was one of my favourite castles and you can read about our trip by clicking the title above. Ticket info here. Visited on 9th January, this was the first on our tour. It’s a ruin, free to enter and a little bit scary on your own with a little one! And, funnily enough, Morpeth was the last of our castles! We stayed in it from 18th-20th December and it was both bizarre and amazing. Right in the middle of Morpeth but hidden by trees, it truly is a hidden gem. I’d highly recommend a stay if you can! 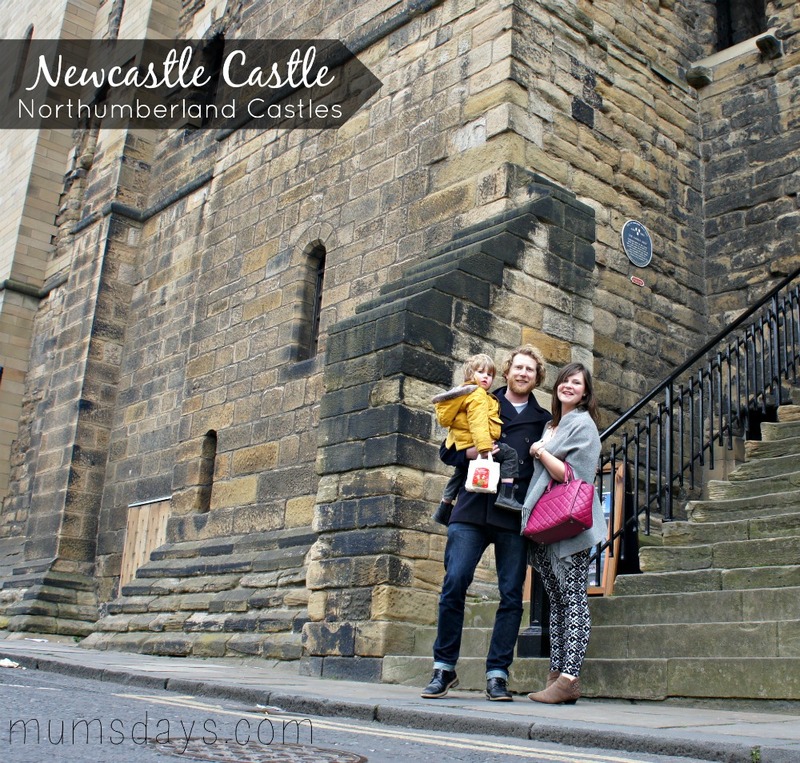 Newcastle isn’t in Northumberland anymore but at one point it was the stronghold of the north, so with the grand reopening and a revamp on 21st March we had to go. 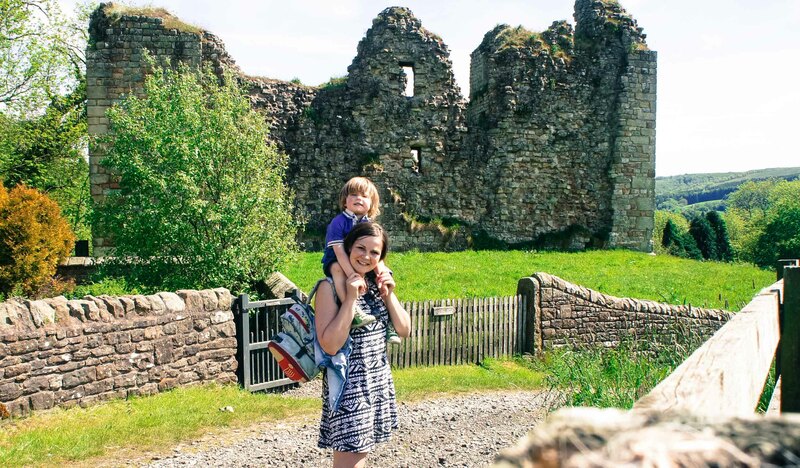 I’ve been many, many times and it’s gorgeous, all the castle you could want; nooks and crannies aplenty, and they’ve added extra bonus exhibitions in the Keep, so it’s a fab day out. They also did me a huge favour today by letting me be interviewed for ITV News there at super short notice. Ticket info here. Norham is massive! Set over a huge site, there’s loads to explore. It’s also really near Etal and Ford, so we visited them all on 19th July. More info here. 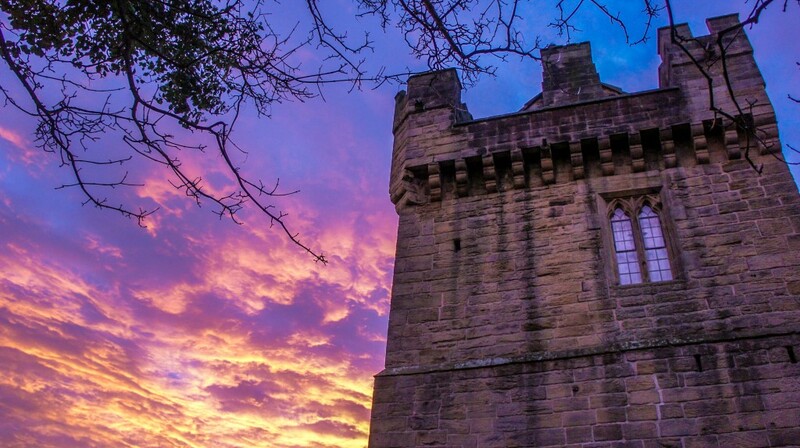 The only castle where we drank a half a beer – Ponteland Castle has been built into a pub! We visited on 8th May. The biggest surprise of the whole trip was Preston Tower – I thought that it would be manned by someone, you’d buy your ticket and explore. But it’s an honesty box and you have free reign to explore at your leisure. It was frankly terrifying with small children and its dubious bannisters! aYou can right up on the roof, where the sides are on the small side too. But it was thrilling and a real turn up for the books. We visited on 6th November. We visited on 2nd April during the school holidays with my parents, my brother and his school mate, Robert. It’s neat and compact and has a lovely walk around the outside. Perfect for little legs. Ticket info here. Oh, this was a good one! 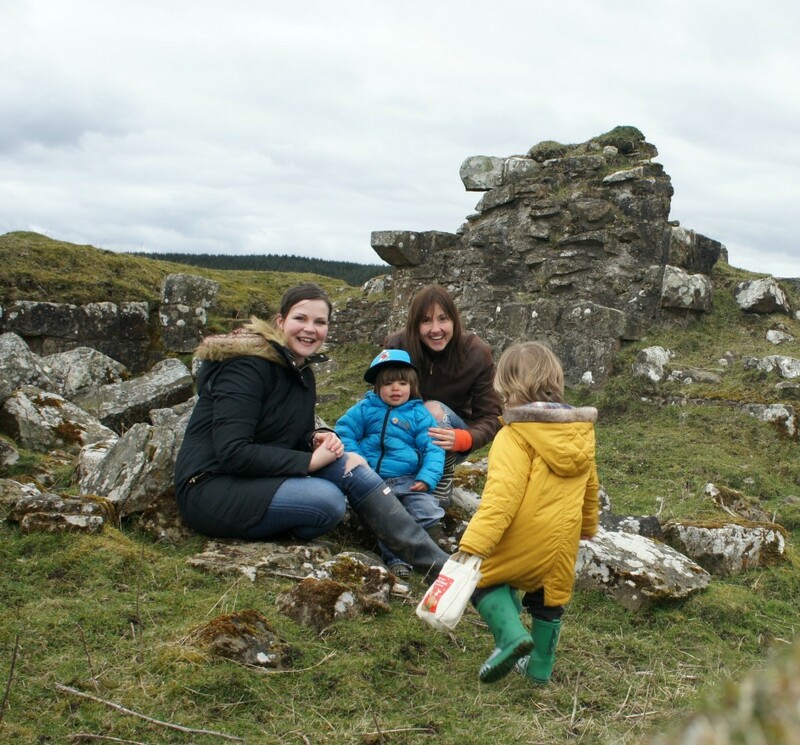 We visited on 24th April with a pregnant Cath and Isabella, and Emily and Beau. It was a bit of a mission and we even had to climb over a wall (not ideal for Cath) but it was well worth for the spectacular views from this special castle. It was a blazingly hot day when we visited on 12th June and I loved this one so much. 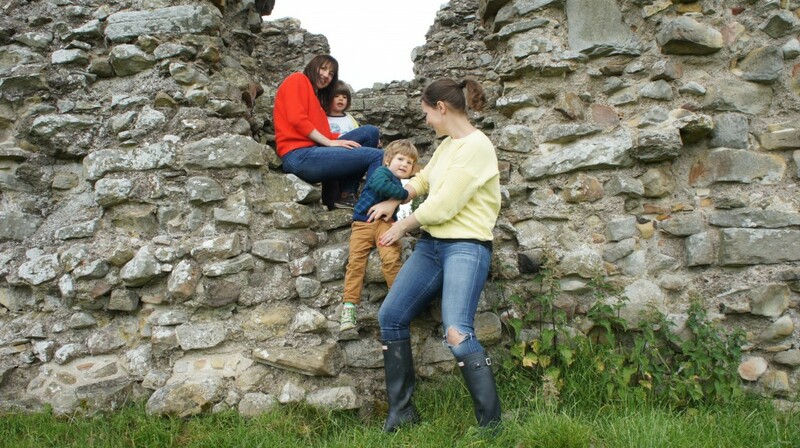 We had a picnic and played in the ruin for ages. Out past Haltwhistle this one is also pretty much on the Hadrian’s Wall walk, so a nice place to picnic along your travels. Out near Rothbury, this was a fun one to find when we visited on 26th June. 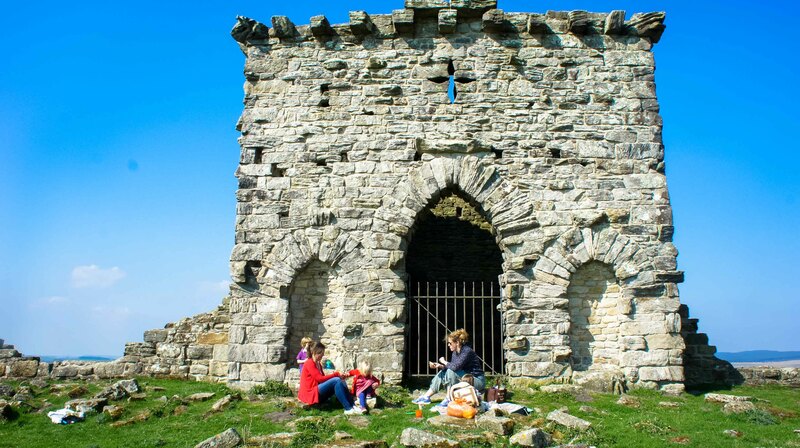 It’s another ruin, the views are stunning and it’s a fun, short walk through a grassy field. 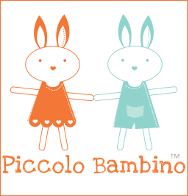 We enjoyed this one, plus it has a funny name! This one wins the prize for most exciting by an easy mile. We visited on 18th July when we stayed up in Jedburgh (see Etal) and it was like something out of The Day of the Triffids. 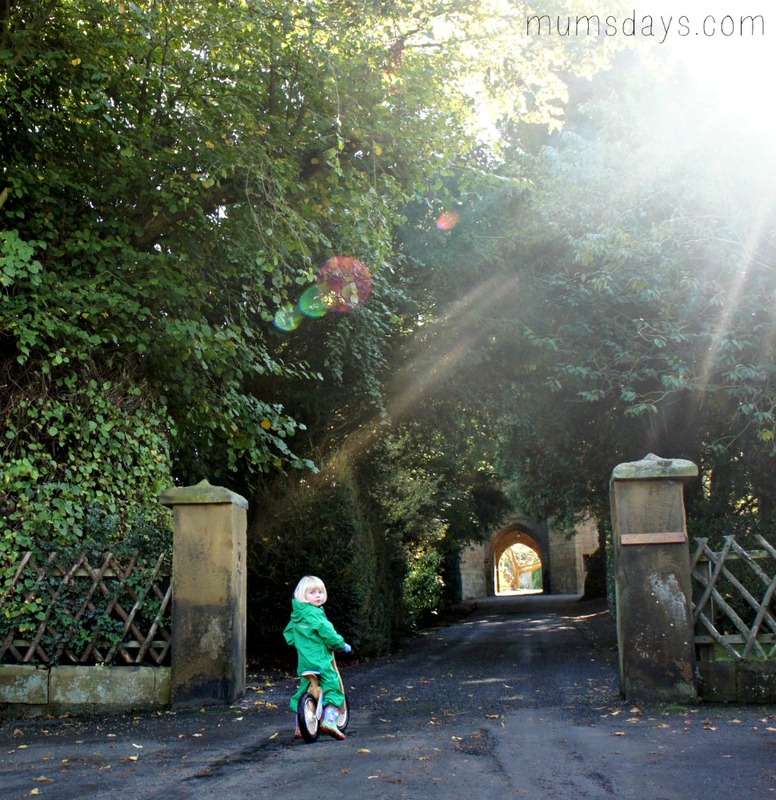 We got a little lost (due to taking a wrong turn right at the beginning – go UP the hill!) and had to tackle undergrowth that was bigger than us. Think 7 foot Nettles. When we finally found Twizell though it was soooo worth it. A ruin with loads still to see and just the right amount of scary. 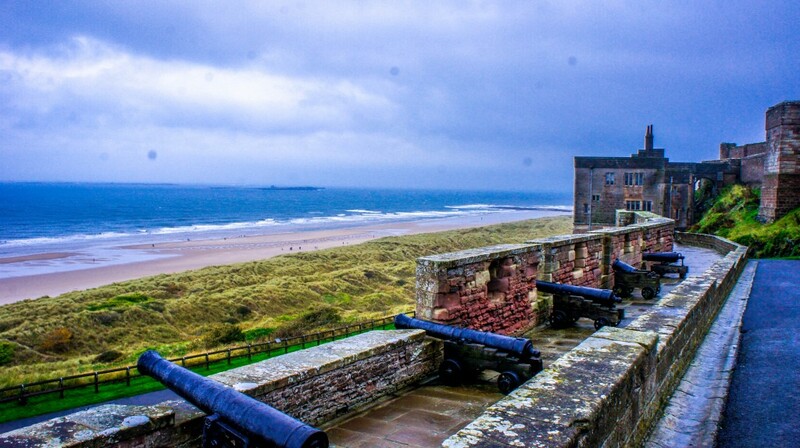 Again, not in Northumberland now but back in the day Tynemouth was important and one of the best defended of all the Northumberland Medieval castles. We visited on 17th April just as little glimpses of summer could be seen. 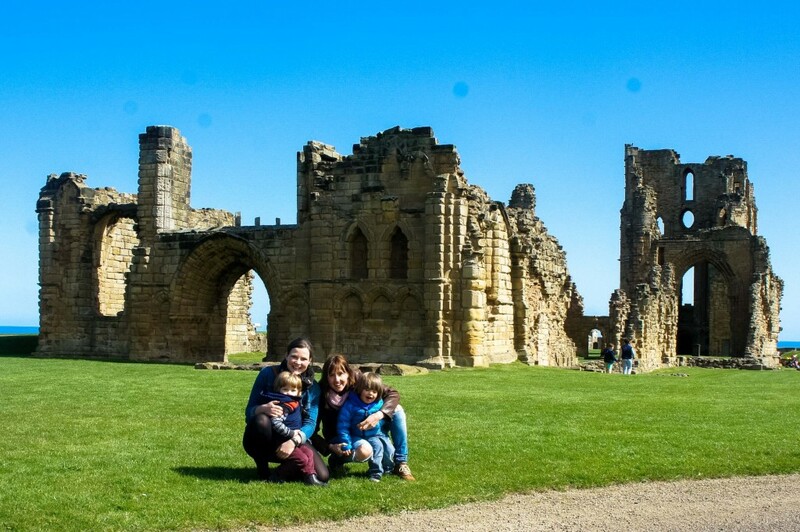 The Priory, also within the site, is stunning. As are the views along the coast. Ticket info here. We went to a village called Wark on 6th March and apparently there used to be a castle here. All that remains now is a big mound with new houses being built! It was a bit of a let down but we dragged Grandad along, had a drink in the pub and a walk along the river. So not all was lost but I wouldn’t recommend it for castle hunters! 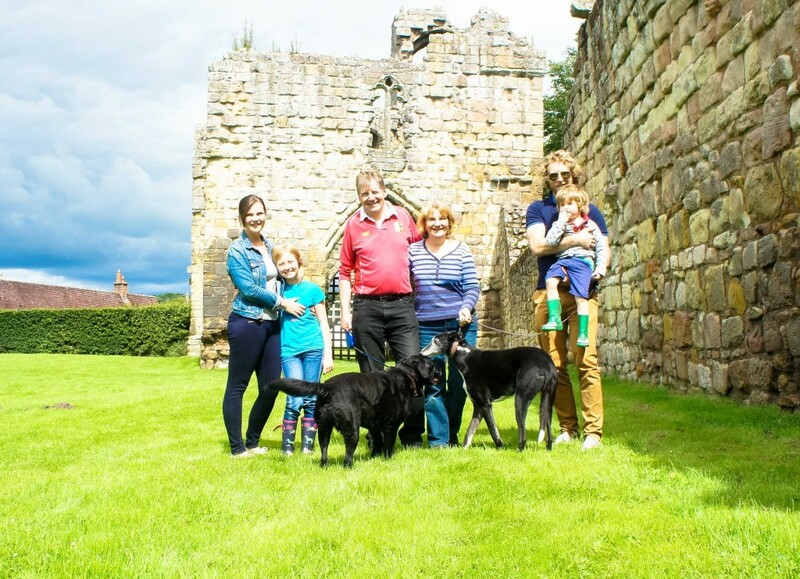 We visited Walkworth on 17th July, the 1st of 6 castles that we would see that weekend. Warkworth is a belter. I’ve been past it so many times so it was wonderful to finally go in. 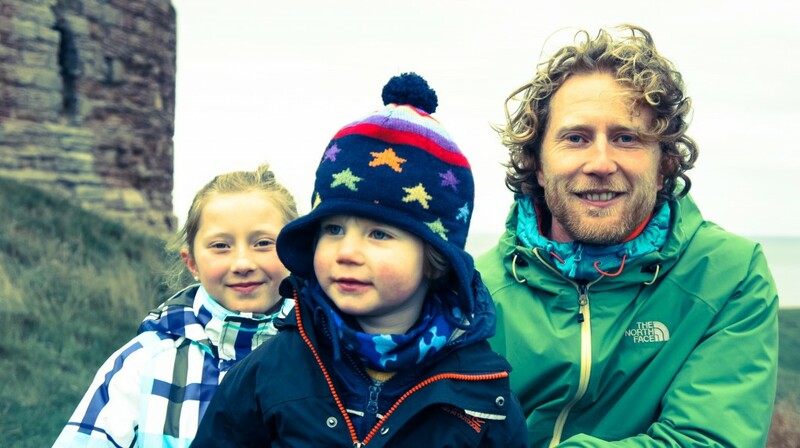 It’s huge, there’s loads to see and you’ll be running after your kids so much, it’ll be like a workout for you too. Ticket info here. 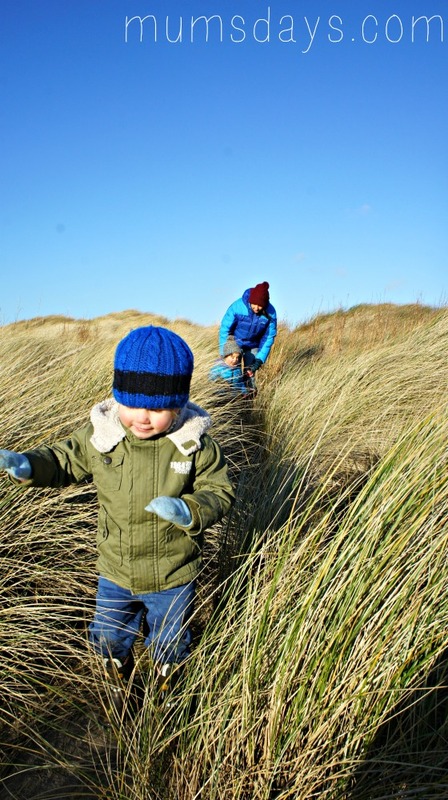 We visited on 16th Jan and it’s not there anymore so we went to Druridge Bay instead! Phew! Are you still there? 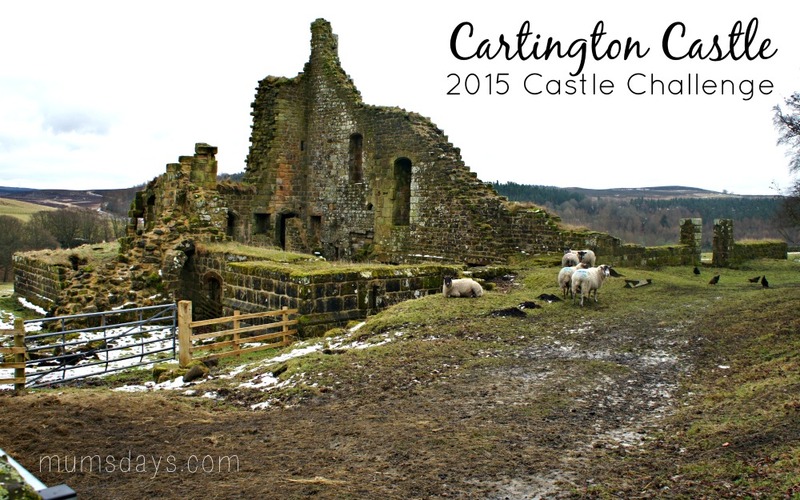 So, there you have it all 40 of the castles we visited in Northumberland in 2015. Did we miss any??! I may well cry but my excuse will be “that one wasn’t a ‘true’ castle!” Plus 40 feels like a good innings! 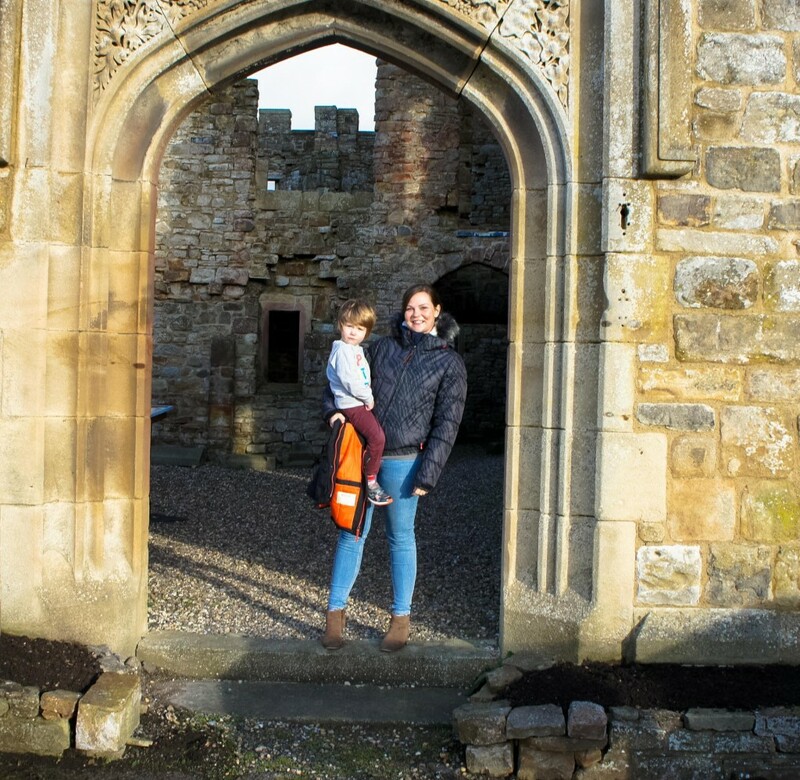 Thanks for all your interest and support over the year and if you’d like to read a bit more about WHY ON EARTH we set out on this challenge you can read my first post here: Northumberland Castles, and my Huff Post article here: Motherhood, Anxiety and Castles. 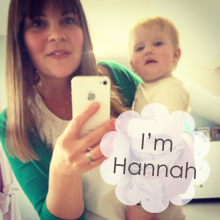 Well done Hannah on completing this mega challenge. I wonder if you are the first to do it? I bet Reuben is the first toddler to complete it! I’m going to send hubby this post as every time I mention your challenge he says that we should visit more castles. Wow, what an achievement, we did a fair few but 40! Thats good going, we love taking the boys, there always seems to be plenty of space for them to run around and blow of some steam! 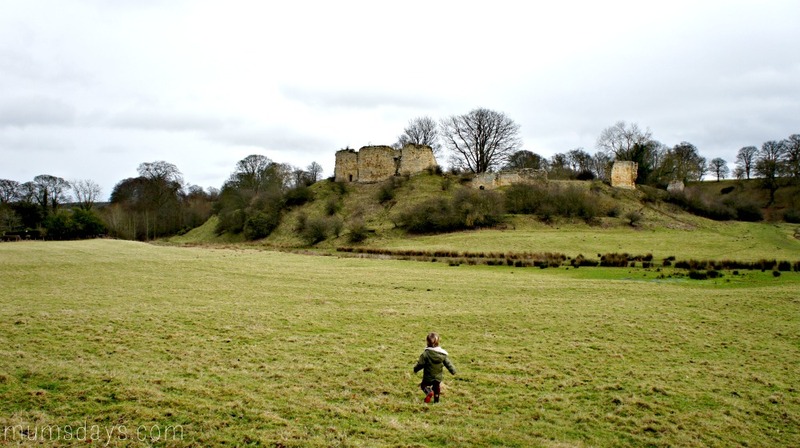 I live about 200 yards from Morpeth Castle, so you could say we were neighbours for a short while! 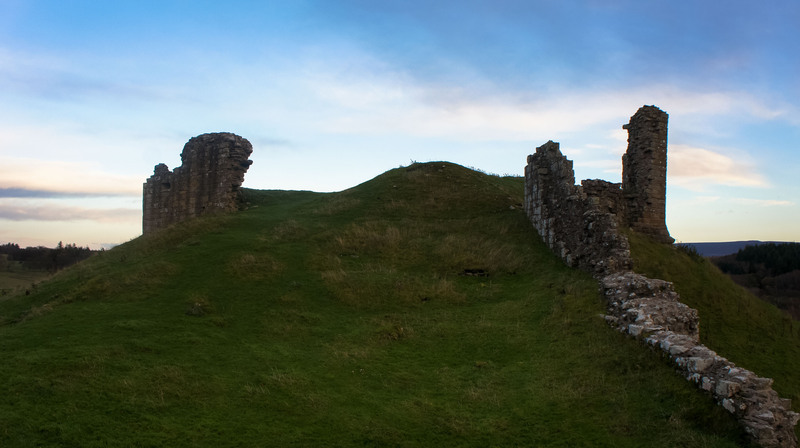 I started a similar project to photograph Northumberland’s castles, pele towers, and bastles in September. You did, indeed, miss some, but your list includes some that I didn’t have my “to do” list, so “thank you”. Ahhh! You have to tell me – what did I miss? 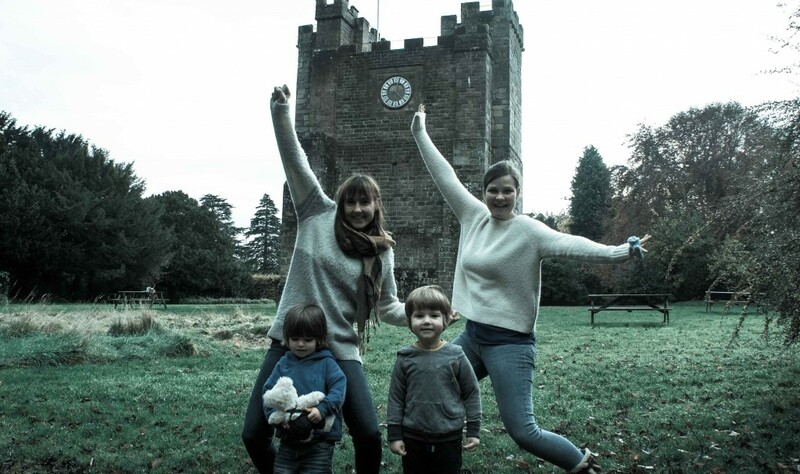 If it’s one that isn’t a true castle though…well, I’ve already made up my excuses there 😉 Thanks so much for stopping by and good luck with your own challenge! Newcastle has direct flights to Newark, NJ with United Airlines.